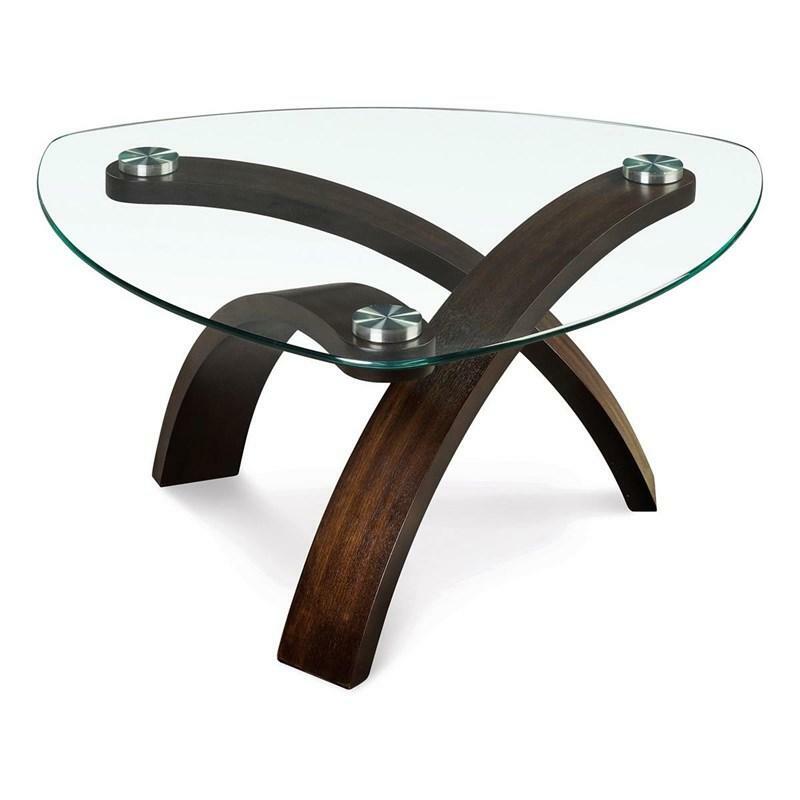 Make a bold statement in your contemporary urban home with the T1396-65 Element Pie Shaped Coffee Table. 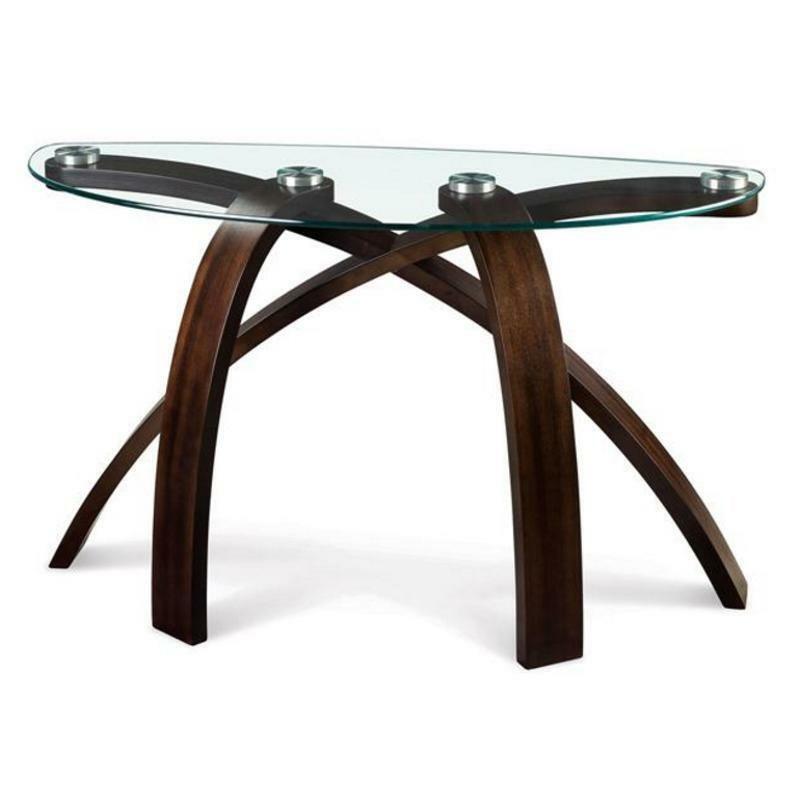 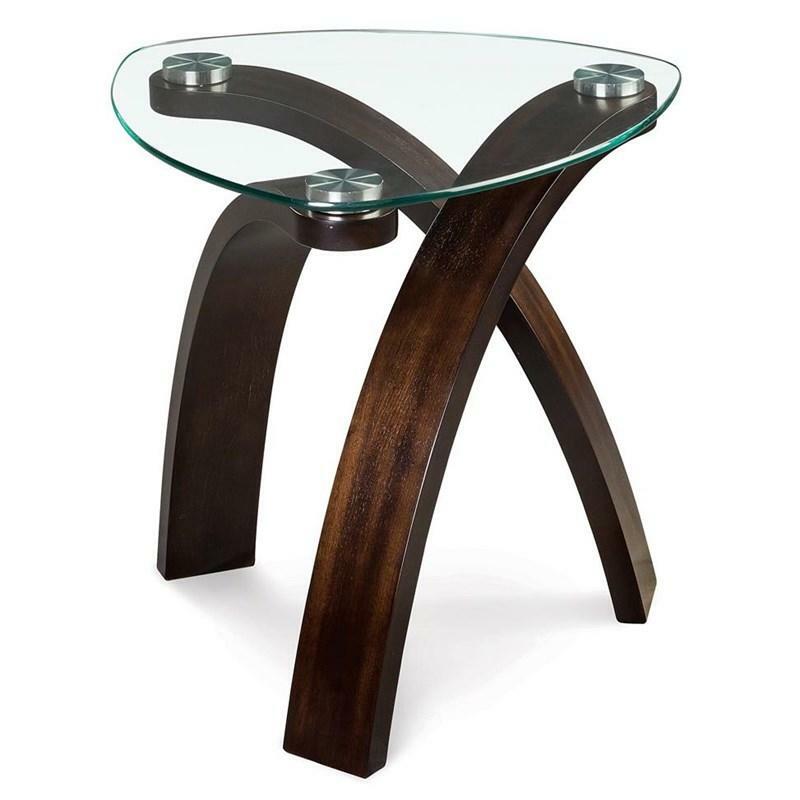 Expertly designed this modern table features a unique criss-cross arched base of durable walnut veneers and bent plywood solids that lends it a distinctive elegant feel. 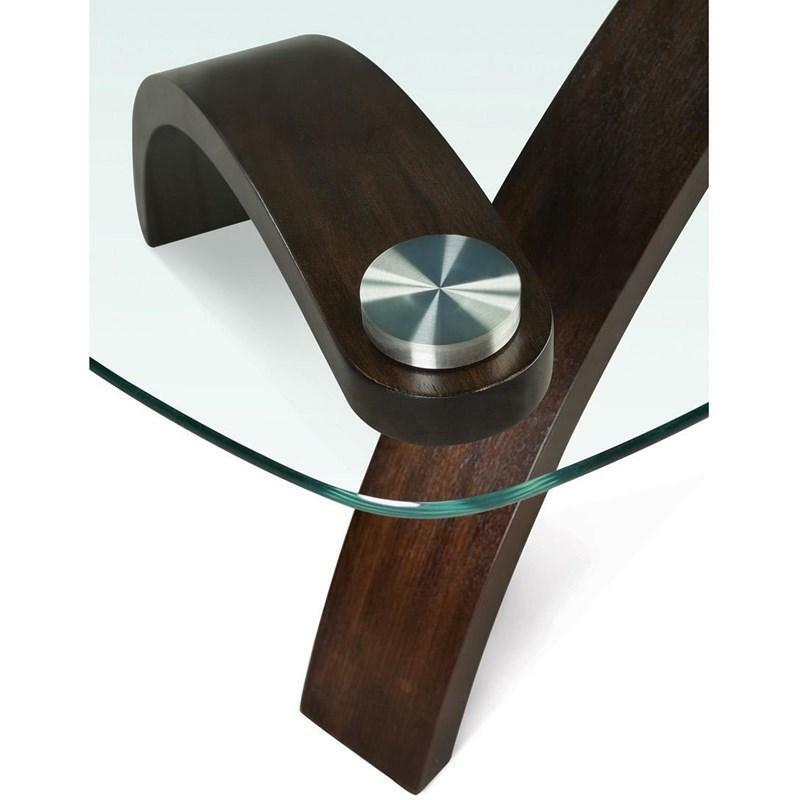 And its bold eye-catching design is complemented by a pie-shaped top crafted of 10mm clear glass and stainless steel pucks.